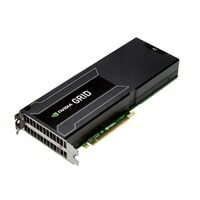 NVIDIA GRID™ is a graphics virtualization platform that extends the power of NVIDIA GPU technology to virtual desktops and apps. It delivers an immersive, high-quality user experience for everyone from designers to mobile professionals to office workers. NVIDIA GRID technology lets IT tap into a powerful graphics-accelerated cloud solution to centralize apps and data, with virtual workspaces that offer improved security, productivity, and cost-efficiency.